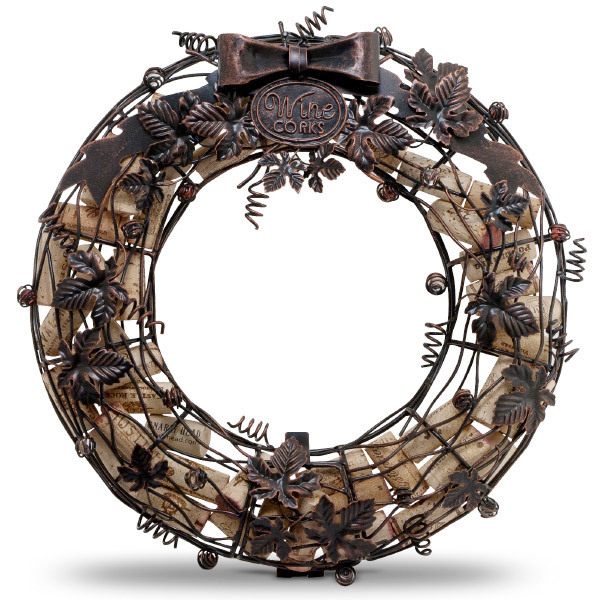 Perfect for the holidays, the Wreath Cork Cage® is a fun and innovative way to keep and cherish all of your wonderful wine memories. Just drop your treasured corks in the top circular opening. Artfully sculpted metal work with colored glass spheres. Bottom hinges open to release corks.